Keep the expansion and competitiveness of your enterprise. In today’s highly competitive market environment, timing is of vital importance. 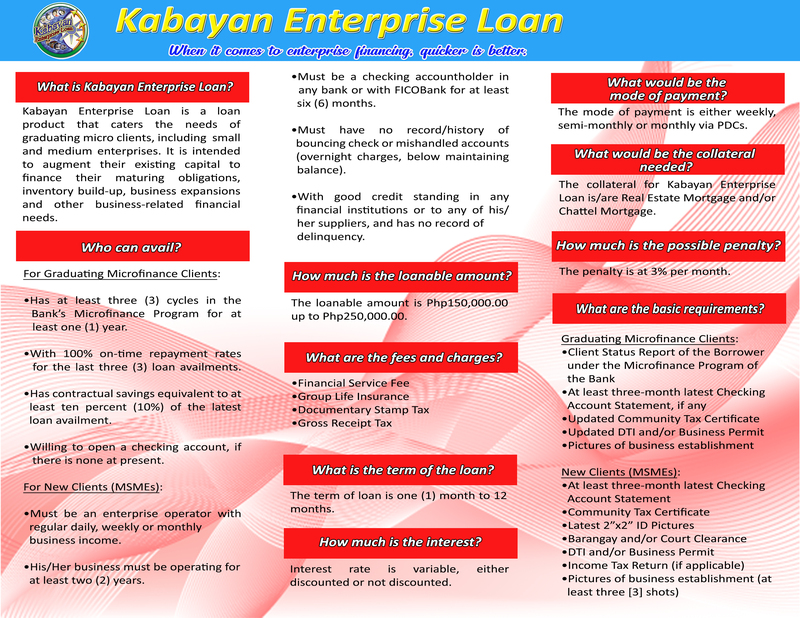 That’s why FICOBank offers the Kabayan Enterprise Loan – a fast and supportive financing option that allows you to respond immediately to the rapidly changing needs of your enterprise. With it, you can get the cash you need and the personal attention you deserve.